NEW YORK – January 18, 2016 – ServiceChannel, the leading SaaS service automation platform for facilities managers and contractors, today announced that Rockford, MI-based Wolverine Worldwide has deployed its facilities management software to better manage its repair and maintenance requirements across 300 stores comprised of some of the most familiar brands in footwear including Sperry Top-Sider, Merrell, Hush Puppies, Sebago, Saucony, Stride Rite, and Wolverine Boots. One, the company wanted to replace its under-performing, third party-based outsourcing model for procuring qualified vendors. Two, it wanted to centralize its work order management process to replace its highly disparate systems and processes due to the integration of new brands through mergers and acquisitions. And three, it wanted to modernize its inefficient invoicing and budgeting processes that provided limited oversight, visibility and control in these operational areas. In addition, without transparency into their facilities program, there was no oversight into not-to-exceed (NTE) limits and limited visibility into what contractors were charging or the proposal approval process. Lack of data also resulted into lags in budget tracking. And with service providers, the company not only didn’t know who was going to its stores but even whether they were insured properly. A key benefit that Wolverine gained through ServiceChannel was the ability to empower its stores with the means to manage their repair and maintenance issues actively via their own store dashboard, with guidance and oversight from the FM team. Having the stores more directly involved helped the company and the FM team manage these issues more strategically, including prioritizing work orders based on urgency. 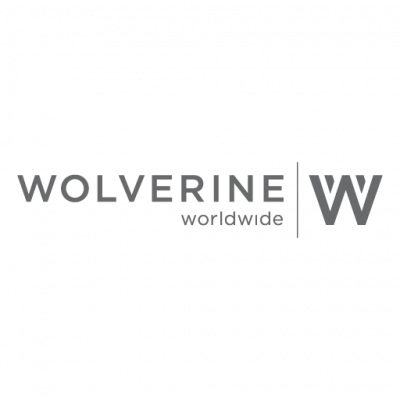 Working with ServiceChannel also helped Wolverine refresh its nationwide vendor network with the most qualified service providers available. Specifically, Wolverine relies on ServiceChannel FixxBook and Compliance Manager to source qualified contractors and ensure that they were fully compliant with requirements such as payment terms, insurance and licenses. This gave Wolverine’s facilities management team more visibility and control over their vendors including the ability to measure their responsiveness for accountability and performance management. It also enabled them to implement a formal RFP process, which gave the company more flexibility on the vendors with whom it chose to work. ServiceChannel Analytics was also an essential and enabling tool for improved vendor accountability. Using a mix of real-time and historic data that the platform generated, Wolverine’s FM team was able to implement a quantitative contractor scorecard that tracked a number of key performance indicators such as on-time arrival, time-to-issue resolution and spending to plan/proposal. The newfound transparency gives Wolverine better control of the entire facilities management process. The service automation platform lets them do RFPs/proposals, resulting in more flexibility in deciding with whom to work. On the cost side, it’s already seeing gains through NTE optimizations, as those can now be updated immediately. Additionally, the company has been able to streamline and simplify how it processes and generates invoice & payment in bulk/batches for vendor services with ServiceChannel Payment Manager. “There’s no longer a bunch of back and forth phone calls where we just reacted, and found out what happened a month later,” Kuntz said. Wolverine is currently evaluating other tools in the ServiceChannel portfolio as next-phase deployment projects. For example, the team is evaluating ServiceChannel Asset Manager as a way to automate the management of its store equipment and other corporate assets. Wolverine is also planning to expand the use of ServiceChannel within the company through system-to-system integration as well as training non-FM personnel to use service automation. The use of ServiceChannel Site Audit Manager to improve the company’s Loss Prevention program is an example.